CHICAGO—For the modern guest, travel is about choice. Boutique or brand? Front desk or mobile-check in? Healthy or comfort food options—or, perhaps, a bit of both? 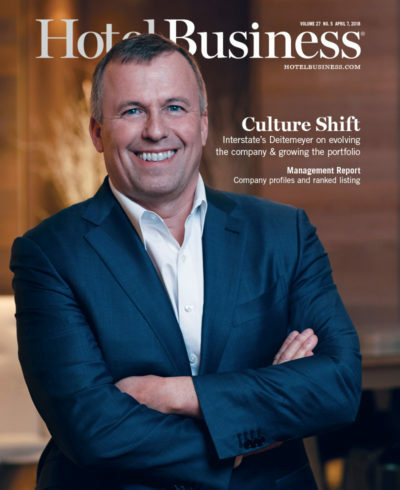 Whatever the aspect of hospitality, guests want to be able to get what they want when they want it—which is why Hyatt Hotels Corp. is expanding World of Hyatt to the home-sharing space. Last year, Hyatt replaced its Hyatt Gold Passport program with World of Hyatt, a global loyalty platform that the company said was grounded in the idea that a little understanding goes a long way—essentially, the program aimed to understand guests better. Now, members can earn and redeem World of Hyatt points with Oasis, a serviced home rental accommodations provider that offers more than 2,000 personally vetted homes across more than 20 destinations worldwide, which the company invested in last year. Here’s how it works: Members who book an Oasis home rental can receive World of Hyatt benefits, consistent with Hyatt hotel locations worldwide, including the following: earn five base points per eligible dollar spent on qualifying Oasis nights; earn tier-qualifying nights for qualifying Oasis nights; earn bonus points on eligible Oasis spend for elite members (10% for Discoverist, 20% for Explorist and 30% for Globalist); and request late checkout for elite members (2 p.m. for Discoverist and Explorist; 4 p.m. for Globalist). Weinberg noted that new redemption benefits were structured specifically to Oasis stays. For instance, guests can redeem 15,000 points for a $200 credit toward an Oasis stay (and additional increments of 15,000 points for additional $200 credits); and enjoy a welcome amenity at check-in for elite members. Hyatt also created a special offer for the launch—through June, World of Hyatt members have the ability to earn 1,000 bonus points per qualifying night on top of base points earned for stays at Oasis. World of Hyatt guests can now use program benefits for stays at Oasis properties. And adding Oasis to the World of Hyatt program just builds on that, she said. “With the World of Hyatt loyalty program now extending to Oasis, we can serve our members in more dimensions of their lives when their travel needs extend beyond a hotel—whether it’s because they’re traveling with a larger group and need more space, have a longer stay in mind, or want to stay in a local neighborhood,” she said. The extension is beneficial to Hyatt, too, enabling the company to offer vacation experiences in new regions. 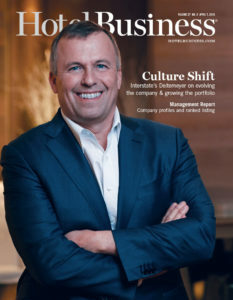 “This collaboration with Oasis also helps expand Hyatt’s global footprint with homes in many markets where Hyatt is currently underrepresented, and in places where we know our members are interested in traveling to,” Weinberg said, pointing, in particular, to Barcelona and Ibiza, Spain; Punta del Este, Uruguay; Rome; and Trancoso, Brazil.